Let me begin by stating that I absolutely adore John Oliver. I admired his comedic timing on The Daily Show and in standup for years, and I absolutely love his HBO show, “Last Week Tonight”. Here comes my big “but” which tends to negate everything before it, so I’ll use “however”. However, Oliver recently did a piece on the “unscrupulous nature” of popular television psychics in the U.S. While he didn’t question whether or not psychic work is real (for him, there apparently is no question as he says, “For one, they’re not”), he did pull up the tired arguments of cold and hot reading and how those work. To say the least, it was a bummer of a show for a psychic fan of Oliver. He, of course, took aim at one of the easier targets today, young (and super-produced) Hollywood Medium, Tyler Henry. He accused him of hot reading Matt Lauer (hot readings are when someone researches the person they’re reading for ahead of the reading and delivers “messages” based on their research). He also suggest that psychics take advantage of people at their most vulnerable, when they’re grieving the loss of loved ones. Look, I get it. 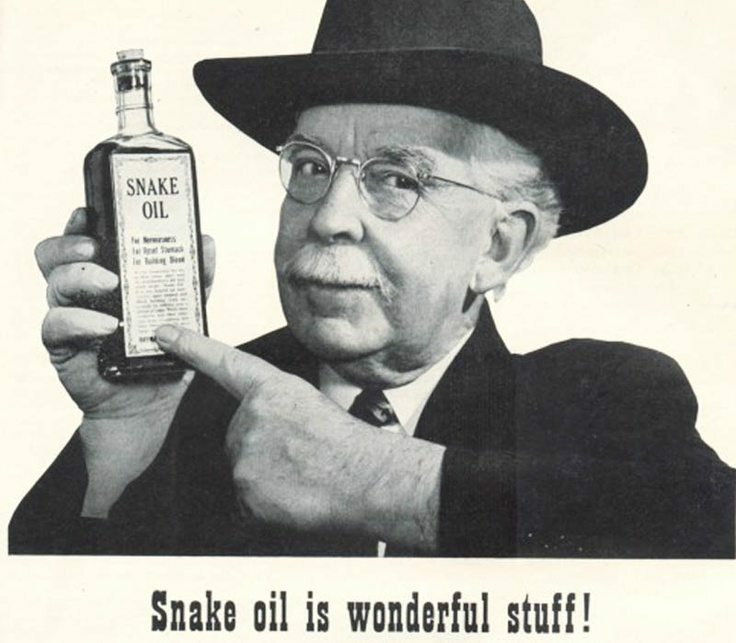 There are plenty of snake oil salesman who have given us a bad name. Anybody remember Miss Cleo? Of course you do. She was all the rage until she was caught being a liar and a cheat, and then every Tarot reader in America was a charlatan. As someone who is considered intelligent and exceptionally reasonable, I question EVERYTHING (especially the messages I receive psychically). Following or believing something, or someone, on blind faith, without personal experience, is just foolish. However, at some point, especially in an investigation, you have to be open to the personal experience. Did he, or one of his producers get a reading from a psychic? Did they look into the study of psychicism by leading university researchers? What about “evidential mediumship” (which is what I practice and is practically a requirement for any medium in his UK homeland)? Evidential mediumship is the new wave in psychic work. It is messages and information which couldn’t possibly be know to the psychic before a reading. The information from an evidential medium is of such high-caliber that there is no doubt of its validity. It is information which can’t be found via Google or private investigation. Also note that I have a full-time (and exhausting) day job during the week, and I charge $50 for a reading. I don’t have the time or money to invest in researching or PI’s. Here is an example of evidential mediumship: I was reading for one of my regular Tarot clients (I see her around 4 times a year) and her adult daughter who was getting married the following week. Her grandfather came through with the usual messages of love (not evidence), but then he kept saying to me “something old, something new, something borrowed, something blue. something blue. something blue. Tell her about the something blue.” So I said, “He keeps repeating this over and over and really focusing on “the blue”. They looked at each other and kind of gasped. The mother then told me that, just that morning, she had gifted her daughter with a blue handkerchief to carry as her “something blue” in the wedding. It was embroidered with a quote from a song that her grandfather always sang to her. Not only that, the something old and borrowed happened to be from the passed grandparents as well. It was a very personal gift from a mother to her daughter. There was no discussion about it before the reading, and there was nothing to be found by “Googling” or going to their social media accounts. It was simply a way for the grandfather to share evidence that he was with them during this happy familial time. He went on to note that they were doing an “unusual” wedding dance (they were and had been taking lessons), and he also mentioned a problem with the rear driver’s side tire of his granddaughter’s vehicle (they drove mom’s car that day, so again, I couldn’t know this). She did confirm that her rear driver’s side tire had a slow leak which forced her to fill it with air that morning. The hits kept on coming, and it was a truly wonderful experience. I should also note that they did not pay me for the mediumship reading. It was a short 15-minute session after I completed their card readings (which were also relevant to them both). So, while I can appreciate Team Oliver’s attempts to discredit psychicism a la James Randi (and doing it with that great sense of humor), I take umbrage with the incomplete investigation. He didn’t reach out to any psychics for a personal reading (or again, one of his writers and/or producers could have gotten a reading on the down-low due to his having “that face”). But, at the end of the day, spiritual work requires the experience, the movement of Universal Truth through your heart and soul as you know, with every ounce of your being, that you have had contact with the afterlife. You can’t be told about it. You can’t read about it. You must have the experience; however, if you’re not open to that experience, then you’ll never really know. 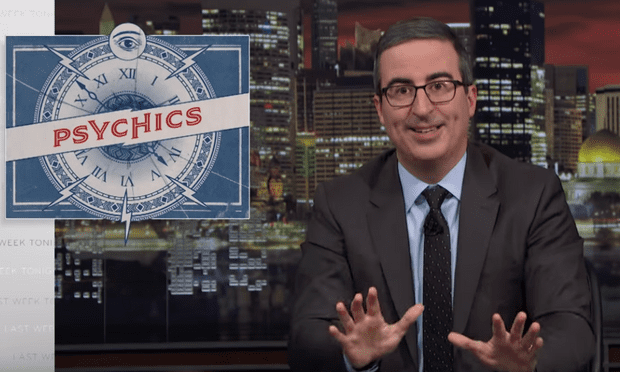 evidential medium, evidential mediumship, john oliver, last week tonight, mediums, mediumship, psychic medium, television mediums, tyler henry. Bookmark.